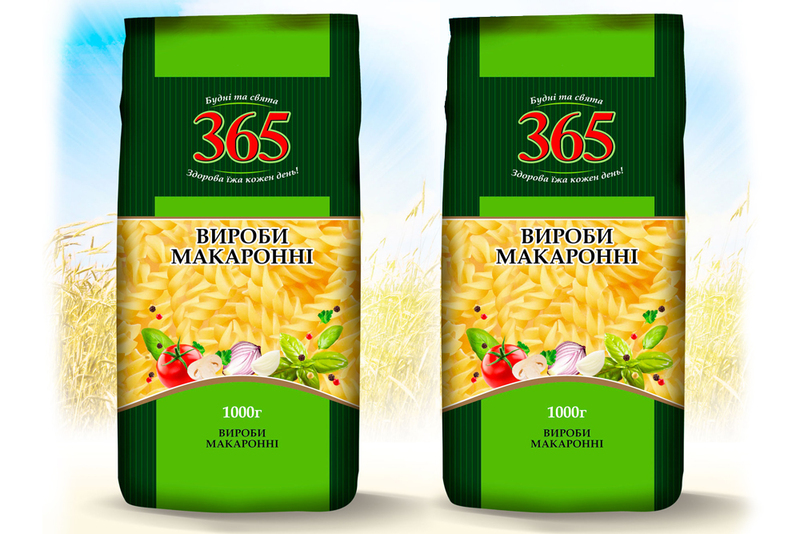 ТМ “365” are grocery products: rice, various groats, sugar, macaroni. The task was to create a trademark, which would successfully become a harmonious series of already existing brands on the market. 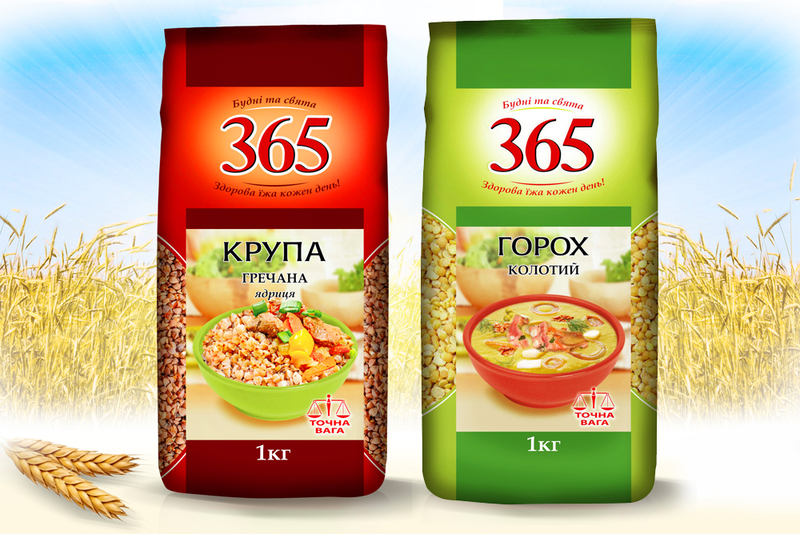 The idea for positioning was to inform the buyer that cereals are a product that we eat every day of the year, on weekdays and on holidays. From simple dishes to very complex and exotic. Those. 365 days a year. 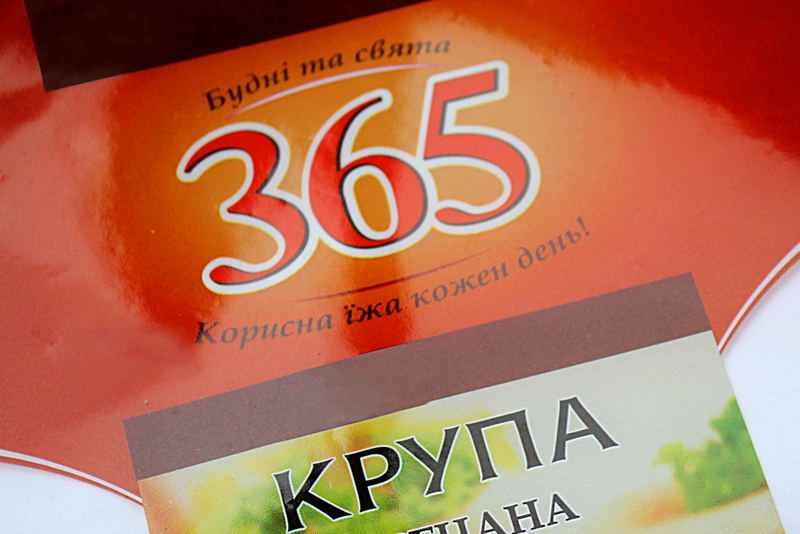 Therefore, the name of the brand was proposed – “365” – simply and concisely. 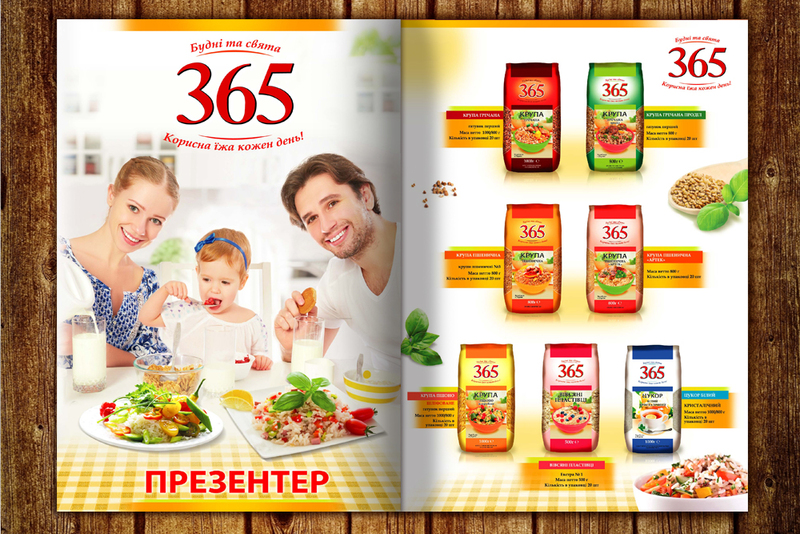 The product line consists of all the most popular and basic cereals. 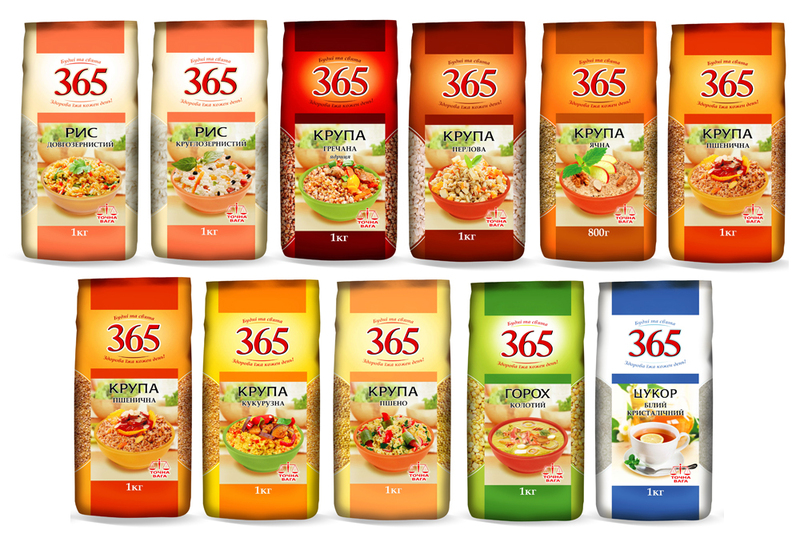 Variety was emphasized by different dishes on the packaging and different colors. 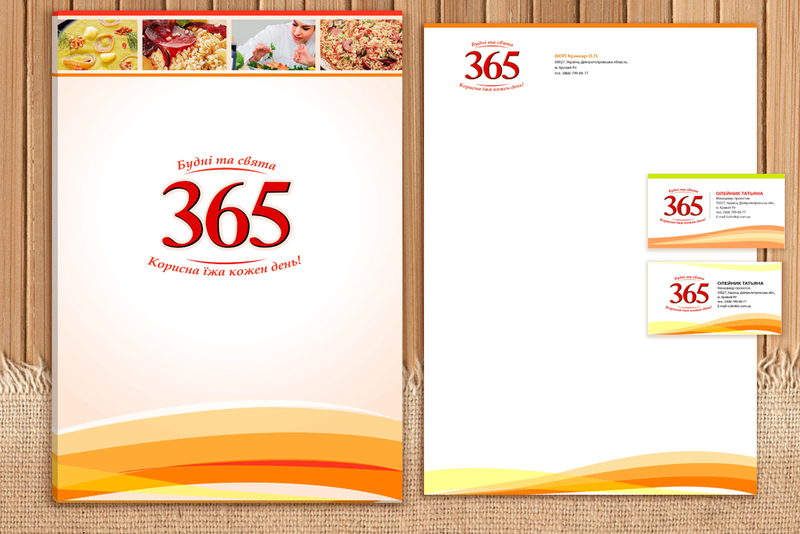 Were developed: positioning, naming, legend, logo, packaging, presenter, corporate identity.